Alexis was an expert in urban economics and public policy, especially regarding race and poverty, and in transportation economics, particularly in regulation and management strategy. His education included a BA from Brooklyn College and a PhD in economics from the University of Minnesota. After postdoctoral work at Harvard and M.I.T, he held faculty positions at Macalester College, DePaul University, and University of Rochester. He came to Northwestern in 1970, where he twice chaired the economics department. In later years, he was also professor of management and strategy in the Kellogg School of Management. In the late ’70s and early ’80s, he was commissioner and then acting chair of the Interstate Commerce Commission. He was appointed a director of the Federal Reserve Bank of Chicago in 1985 and served as its chairman in 1990. Speakers at the memorial service put his achievements in context. When Alexis began his career in the 1950s, the idea of a black economist was a novel one, according to Margaret C. Simms, a fellow of the Washington, D.C.-based Urban Institute. He became Simms’s mentor, role model, and friend as he began to teach and to build a network of African American economists. This became a pattern in his life. Northwestern colleague Robert Coen remembered that in 1974 he helped found the American Economic Association’s Summer Program, which encouraged and prepared promising minority students to pursue graduate study in economics. That program has produced many of the field’s leaders and continues to this day. Alexis had a “profound and deep connection to Northwestern,” according to his nephew Joseph Alexis, and considered his students an extension of his family. He played a major role in strengthening the economics department at a time when budgets were strained. Rudy Weingartner, former dean of the College of Arts and Sciences, recalled, “Thirty-three years ago, Marcus became chair of economics—the most highly-rated department and also the most expensive [for recruiting faculty].” In a competitive market for top faculty and with limited resources, he said, Alexis used his creativity and powers of persuasion to “land our share” of outstanding faculty and to “grow our own” promising assistant professors. Alexis never waivered in his commitment to make Northwestern a more inclusive place, said Sandra Richards, professor of African American studies and theatre. He spearheaded committees to attract students of color and retained his sense of optimism through all the cycles of dipping and rising in the enrollment of minority students. 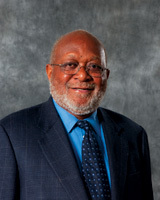 In addition, he played a major role in increasing the number of minority faculty members at the University. He is survived by his wife Geraldine, daughter Hilary, sons Marcus II and Sean, and four grandchildren.